Click on the image if you need to enlarge it. The draw took take place on 29th December 2012 and the winner was SD from Bristol – Congratulations! The answer is the password >>> leave a comment to prove you have solved it. Bring back the Sunday Afternoon Car Treasure Hunts! Do you remember frequently seeing streams of classic cars zigzagging along country lanes? It isn’t hard to set the clues for one. 1. Get a map of the area. 2. Select ten locations which participants may find of interest so they enjoy the day. 3. Come up with a ten letter answer – anything you like, perhaps relevant to the event. 4. Drive around each of the locations and come up with an answer that includes a letter from the final answer. 5. 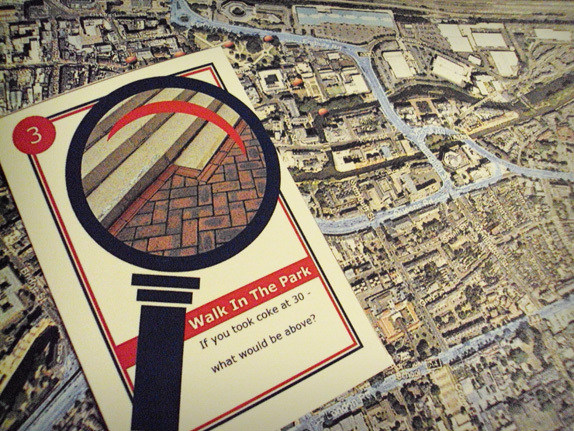 Whilst at each site, come up with a question to suit that answer – for some ideas take a look at treasure hunt clues. 6. Sketch out a grid of boxes that line up the letters to reveal a final answer. This is helpful to the participants that now know how many letters the answer has. 7. 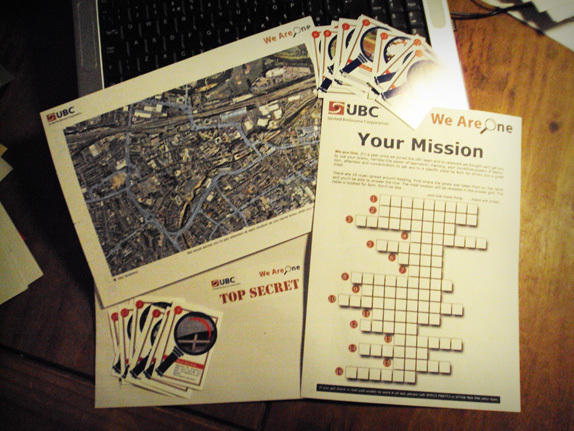 Write out all the clues, map and grid and you are ready to go! It is time for us to revive this great fun tradition. 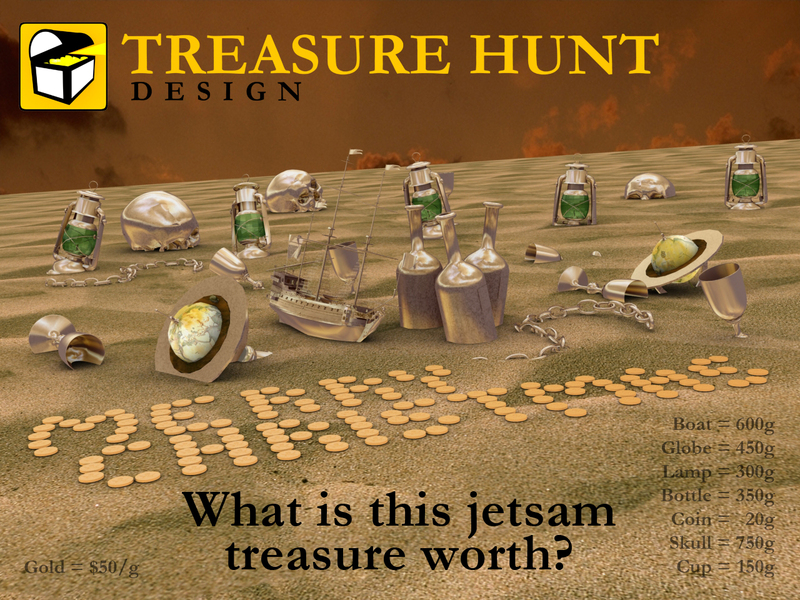 If you would like help with your Sunday Afternoon Car Treasure Hunt then get it touch www.treasurehuntdesign.com. For this example we gave the teams a Top Secret envelope containing a map, a word grid and a number of playing cards with a photograph and question on. Teams had to make their way around the city, find the locations marked on the map and work out which card hosts the right question by matching the image on the photo to something in the locality. When they had answered all the questions, the word grid revealed the location of the ultimate prize: their dinner. 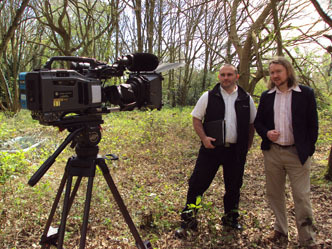 We will be filming on Tuesday 20th April 2010 in a top secret location – which will remain so until the broadcast – so don’t ask! We have very limited access so will have to act really quickly to plan out the route, set out all the clues and squeeze in the filming too. The preparation is everything, so we are poring over maps and speculating over ideal clue locations. 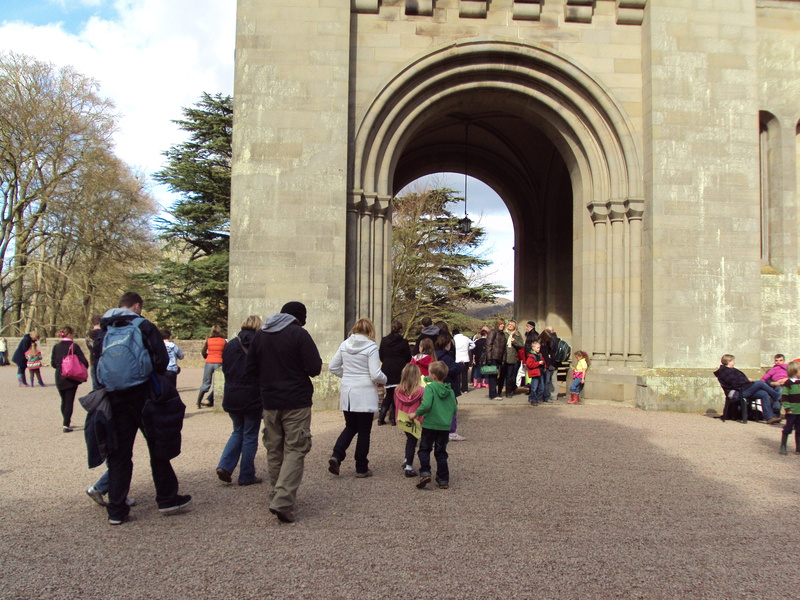 Last weekend we had the Eastnor Castle EGGstreme treasure hunt – attended by 3000+ participants. The weather wasn’t absolutely ideal but on the Sunday alone over 1600 people attended. We are hoping that they have been on lots of treasure hunts.